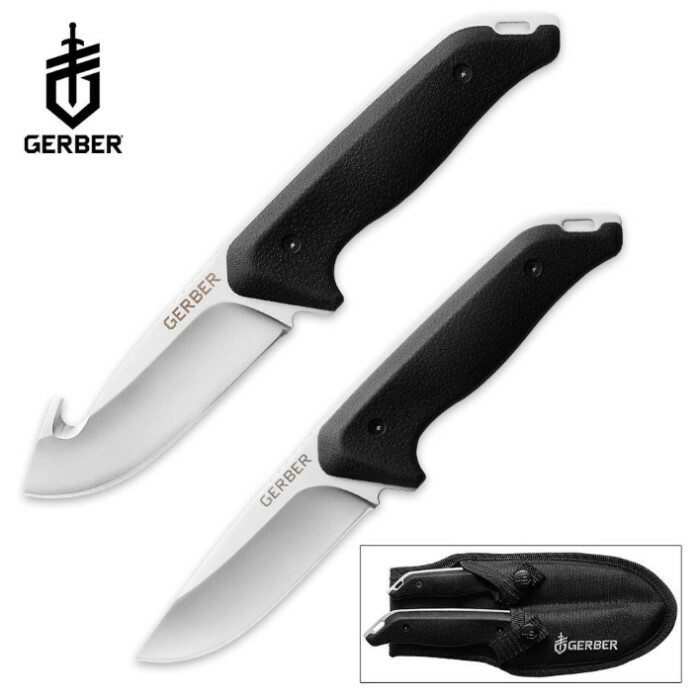 Gerber Moment Hunting Knife Set | BUDK.com - Knives & Swords At The Lowest Prices! This Gerber Moment Field Dress Hunting Knife set has everything you need to clean a large game animal quickly and efficiently. Make all your precision cuts and caping with the small finesse blade, and use the larger utility blade for the tough cuts. The 5Cr15MoV stainless steel blades are razor-sharp, and have a strong edge-retention quality, so they'll stay sharp longer! A dedicated double sheath that holds both knives is included.